Education and awareness save lives. 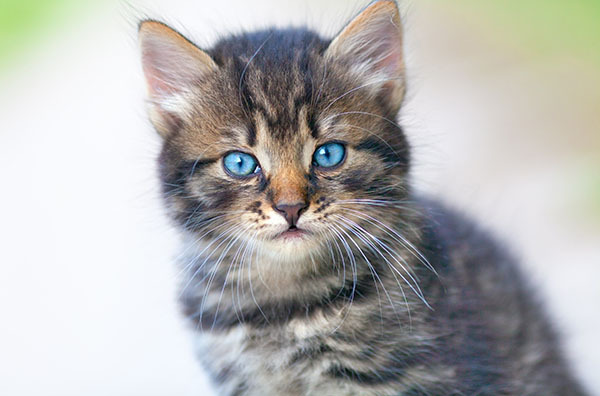 Our book is packed with expert advice and tips to help keep your kitten or cat, happy, healthy, and safe. Many of the illnesses, injuries and pet emergencies we veterinarians see and treat on a daily basis, can often easily be prevented— if only the owner had known. So we've made it our mission to educate and bring awareness to as many people as we can. Our books are filled with life-saving information, written by an expert, to prevent suffering for animals and financial stress for owners. They are fun, kid-friendly, and make great gifts for cat owners of all experience levels. 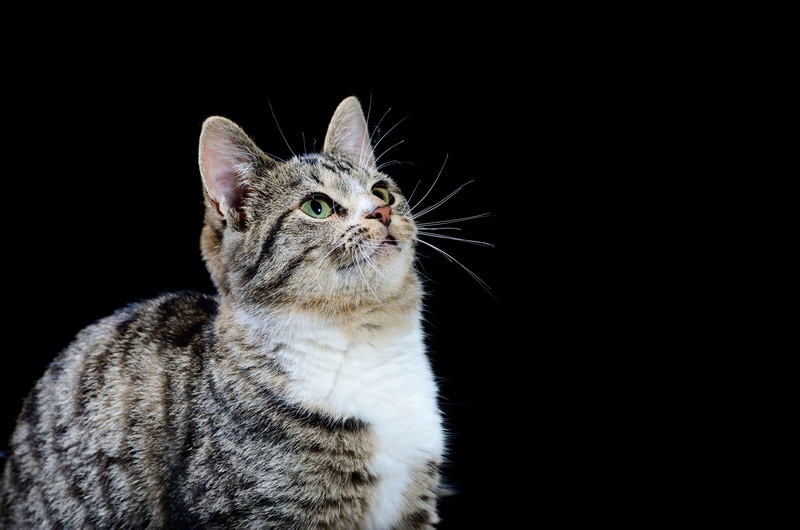 "Cats are masters at being mysterious, so we all need a little help deciphering clues that might indicate a medical problem or stress. Every cat owner should read this book, and keep it as a handy user's manual for their cat. I wish I could gift this book to every one of my clients who shares their lives with cats. This includes so many topics I'd like to discuss in detail in the exam room, but don't always have time...and not everyone knows that cats shouldn't "normally" barf 3-4 times a week, so they don't mention it as a problem. This book will improve the lives of so many cats, and the people who love them!" 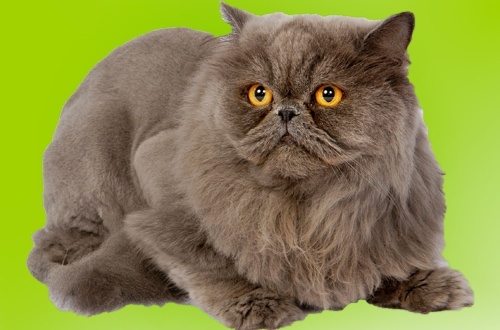 Highly recommended by owners—greatly appreciated by cats! Bite-sized tips with real-life stories and fun, colorful illustrations. Great for the whole family! Just one tip could save your furry family member's life. Learn from the experiences of others. Avoid expensive and heartbreaking trips to the vet for preventable accidents and illnesses. 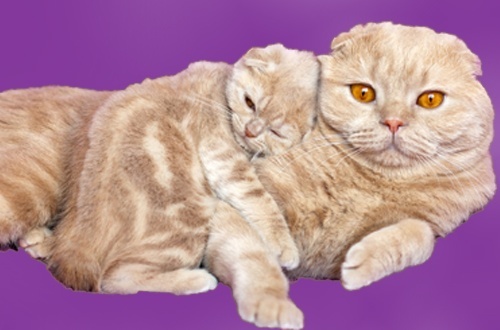 These pet care tips are packed with actionable solutions and recommendations. 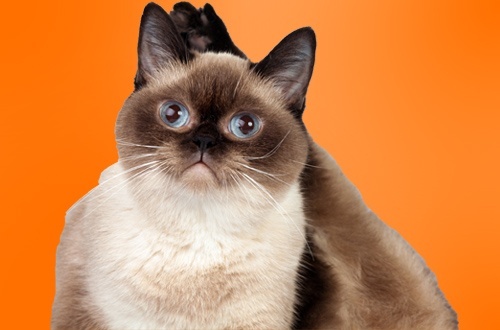 Absolutely essential for new cat and dog owners, and longtime owners will learn new tips! Learn what others don’t know. Be the smartest person at the pet store! As an ER and general practice veterinarian, Dr. Jason Nicholas (“Dr. J”) has been witness to countless heartbreaking cases where loving, responsible pet owners arrive distraught and (often) guilt-ridden, at all hours of the day and night, with pets suffering in distress and in pain. In a majority of these cases he knew that they could have easily been prevented—had the owner only known a “simple” bit of information or had recognized the warning signs earlier. 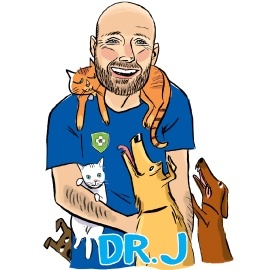 Repeated exposure to these preventable situations, helped to transform Dr. J into “The Preventive Vet.” Since 2011, he has become a leading pet health and safety expert, who regularly appears on radio, television, and in social media dispensing valuable advice, awareness, and pet tips. Although a fun-loving person with a casual style and sense of humor, he’s a stickler for accurate, thorough and compelling information. As a husband, father, pet owner, and practicing veterinarian, he also knows that life can get hectic quickly… especially with a new dog. He recognized the need and so the indispensible, fun and easy-to-read, life-saving 101 Essential Tips was born. Dr. Nicholas makes Portland, Oregon, his home, where he lives with his wife and their two young daughters. Their family is kept smiling and laughing with the help of their superdog, Wendy, and ever-cool cat, Smudge.